Me and my flipper. Our symbiotic relationship is over. Checking out my Google Analytics and noticed that people found my website from searching about dental flippers and front tooth flippers and such. 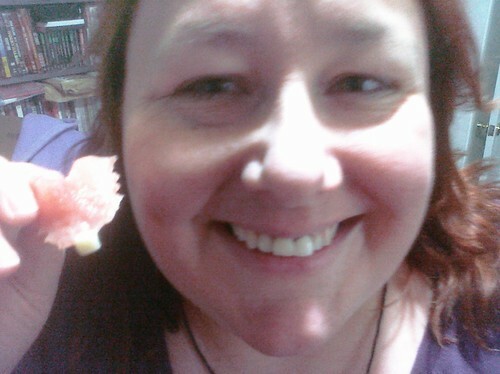 This is because I did have a dental flipper with my implant, back in 2009/2010. I wrote about it right after the procedure here with the intention of doing follow up posts. 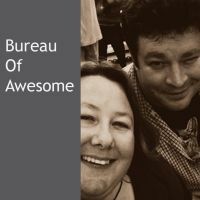 Everything went so smoothly, I didn’t think to do the follow up. That’s a good thing. When I was planning my dental implant surgery, I decided to head to Alaska Dental Associates for details from professionals. After that I googled flippers, most of the stuff I saw was fairly depressing and scary. There weren’t many happy stories. Maybe it’s because all of us who had a great experience didn’t find it necessary to write about it. 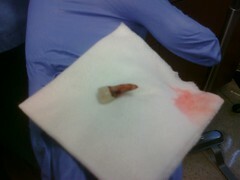 I wore the flipper until April 12, 2010, when my abutment and crown was attached to the implant. I wore the flipper whenever I went out into public. On doctor’s orders from my 10-years-family-dentist (Delaney Park official website), I did not wear the flipper when I slept. After the first few weeks, I stopped wearing it when I ate, unless I was eating in public. So for dinners at home and family, with friends or at my work desk, I’d take out the flipper and eat. If I were eating at a restaurant or with fancy friends, I’d keep it in when I ate, but afterwards would rinse it off in the bathroom because food would always get stuck underneath it. And eating with the flipper posed a problem because if I took too big of a bite of food, the flipper would fall right out of my mouth. 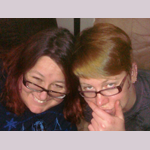 Funtimes. Wearing a flipper got to be a bit fun. The best is when I’d stand right next to someone and in the middle of a conversation, I’d let it fall out of my mouth. The looks on their faces == priceless. Especially if they did not know I had the flipper in the first place. If I had any advice for people considering the implant procedure, I would encourage them to do it, the end result is definitely worth the risk. 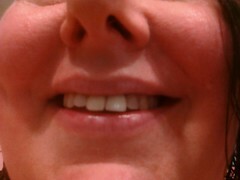 Of course, I had a very lucky experience with mine, my tooth came out easily, the implant set very well on the first try. 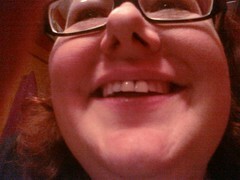 But now I don’t have to worry about that tooth falling out any more. 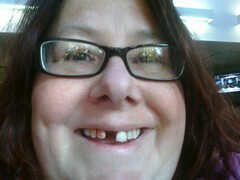 If I had the money, I’d consider getting my second front tooth done as well. Have you had any dental work done? How did that go? Or are you considering a flipper? See, when I was ten, and like many most kids, I was pretty curious. Friends of my parents bought a new home in Sangerville and we (Mom, Dad, Bill and me) went to check it out. When we were in the kitchen I noticed this really cool closet and investigated. I walked in and… you guessed it, fell down a flight of stairs. 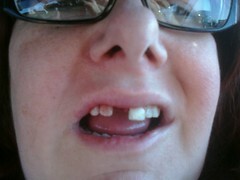 The only damage, I broke my two front teeth. Since then I’ve had 2 sets of caps, bonding and and then crowns. Until now. To fix, the best, and really only, option (other than going around with a hole in my mouth) was to have a dental implant with crown installed by the local specialist in cosmetic dentistry at Plush Dental. What they’d do is: remove the tooth; insert a titanium implant; surround the implant with bone grafting; and, when it heals and sets, install the crown. The kicker, it will take at least 6 months to heal/set. 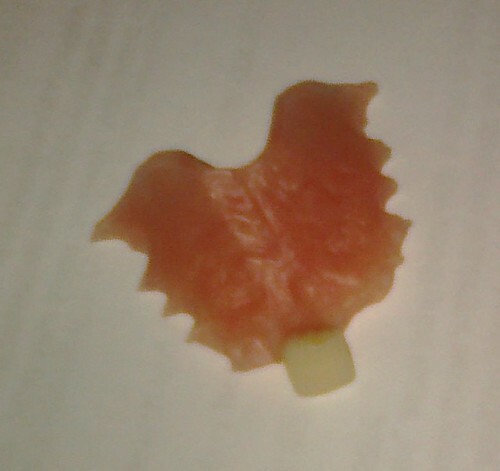 The solution: a flipper, a retainer-like object with a fake tooth attached. The good news was that only one tooth needed to be done. So I procrastinated for a few months, got the money together (because the best option, is, of course, the most expensive) and made my appointment to get my implant on. My friends recommended to check out ParkdaleFamilyDental.com.au. Next I drove to my dentist’s office here in Westbrook (see, because I had local anesthetic I was able to drive) and had my flipper installed. Realized I looked really bad in the first picture, so I made sure to smile in the second one! It looks better in my mouth! The flipper sits in my mouth much like a retainer would. I can eat with it, but I can’t use it to bite or tear food. Today I had a huge piece of bread at lunch and took too big of a bite, the flipper flopped right out of place. If I keep the amount of food in my mouth small, it is usually pretty manageable. For the first week and a half the flipper was very uncomfortable, it wasn’t until this past Monday that it didn’t hurt to put in in the morning. However, I am really happy with how it looks. And I like freaking people out with it. One of the scary things is that it is possible for an implant to fail. Yikes. 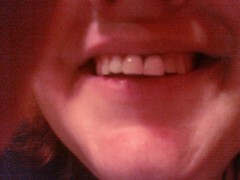 And I won’t even find out how it’s going until I’ve had the implant for four months. All-in-all, I have to say that, so far, the implant procedure has been a relatively smooth process. And I would recommend it, especially for visible teeth. Of course, I might say something different later, so check back in a few months. 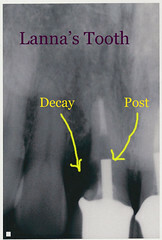 Edited to add: I added a follow up My Flipper: And the Dental Implant Saga – Part II on November 20, 2011. Check it out!